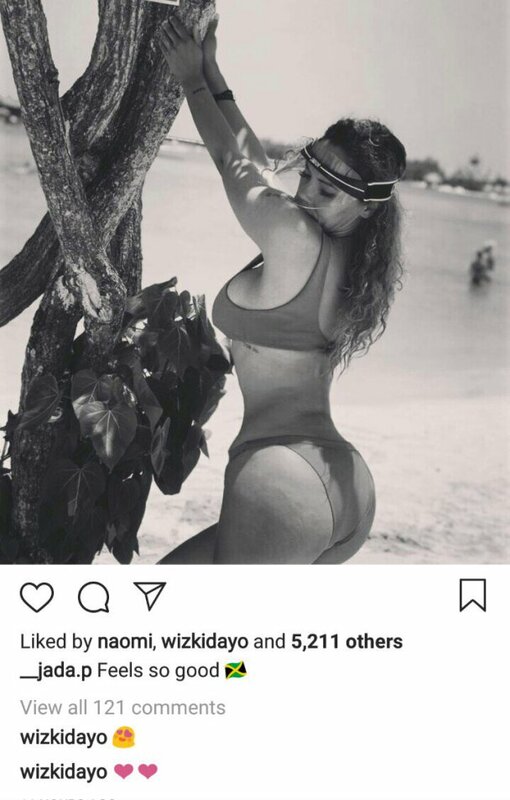 Wizkid's 3rd baby mama, Jada Pollock has a banging body and she knows exactly how to flaunt it to get Starboy's attention. 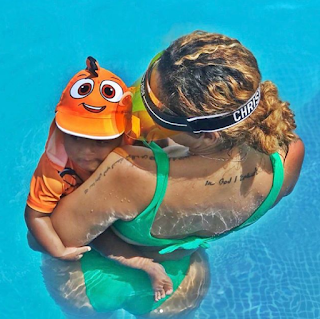 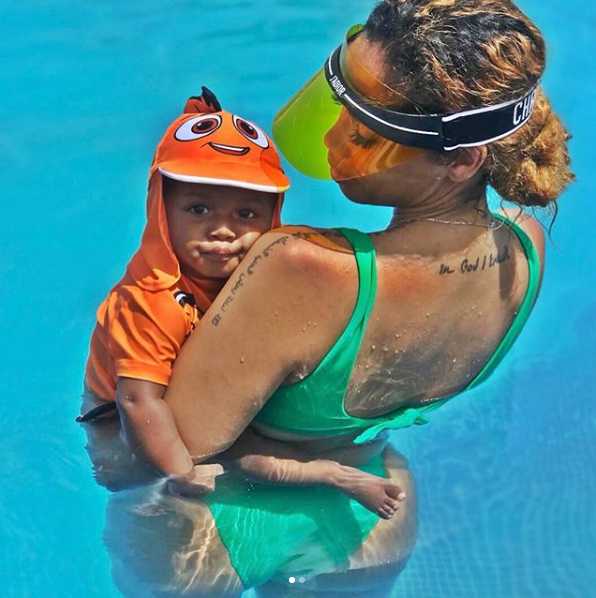 Jada is currently having a nice time with their son, Zion Balogun in Jamaica. She took to Instagram to share these photos of them taking a dip inside the pool.